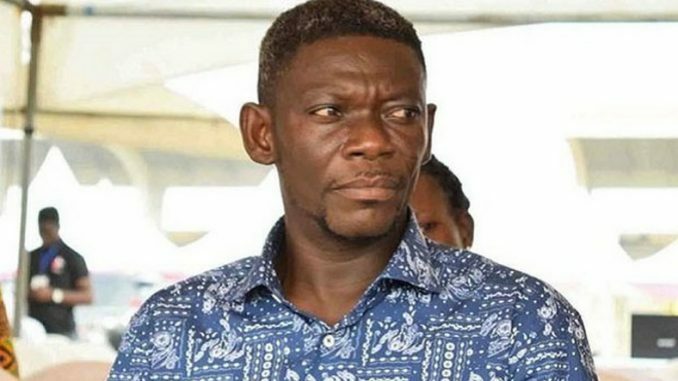 When was the last time you saw Agya Koo in a movie? One, two, five or ten years ago? You can’t remember right? Well, he may have gone on a long break but he is back in Grand style. The Legendary kumawood filmmaker is about gracing your screens once again. He is part of a star-studded cast who features in the about to be premiered action-drama movie “Away Bus”. The movie which is co-produced and co-directed by Kofi Asamoah (Kofas) and Peter Sedufia promises to be one of the best Ghanaian movies ever produced in recent times. Among the enviable cast of actors and actresses on the production are John Dumelo, Kalybos, Too Sweet Annan, Moesha Buduong, Akrobeto, Salma Mumin, Big Akwess, Akuapem Poloo, Abena Santana, Fella Makafui among others. Add Agya Koo to this line up and you can only imagine what a movie this will be. The premier is on 20th April, 2019 at the Silverbird cinema in Accra Mall and at the Westhills Mall. Ticket is 50.00 and you can get them at the venues. It three different shows on the night, 5pm, 7pm and 9pm. Come, meet and have fun with your favorite celebrity on the movie.